Recently, I decided to visit a popular, contemporary church known for its multicultural emphasis. (Read: it tries to be neither a “Black church” nor a “White church” in its cultural expressions of Christian worship.) I did this because, after being conspicuously silent about race and racism after the Charleston shootings (the church did not so much as post on their social media sites that they were praying for the victims. Instead, they posted videos about their upcoming sermon series), the Black pastor of this multicultural church decided to tackle the issue of race in a sermon series. By this, he meant that it could be remedied by interpersonal interactions with people of different ethnicities. He went on to provide possible solutions to racism. He suggested that people of different races should have dinner together and engage in conversation about their lived experience. White folks in the crowd clapped their hands approvingly. Black folks in the audience shook their head as if they had just heard words from on high. Some folks go to church to get prayer. Yet, as a philosopher of race and ordained minister dedicated to social justice, I left church needing someone to pray me back into a peaceful place. There is value in people from different backgrounds engaging in dialogue, but talking is not enough. Put succinctly, the pastor pissed me off. I am not advocating for racially segregating worship. 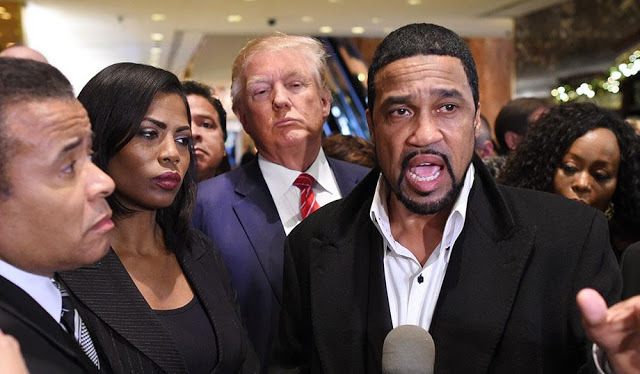 But a person who has lived on the underside of the American democratic experience because of their race is likely to understand the Bible differently from those who have reaped its benefits. It is this Black interpretive lens that explains why people like Nat Turner, Bishop Henry McNeal Turner, Richard Allen, and Dr. Martin Luther King, Jr. felt so strongly about social injustice. Their understanding of God was of one who is not interested in merely having people of different ethnicities be nice to one another—Black Christians see God as a person who is interested in liberation. Asking those who have access to Whiteness and the privilege it brings to merely tolerate Black people is not liberation. To liberate those who are marginalized because of racism is to commit to a fundamental change to the structure of this country. Those who are racially profiled and sentenced under minimum mandatories because of the war on drugs are in need of liberation. Black and brown folks who are disproportionately in poverty relative to White folks are in need of liberation. Black children who disproportionately attend decrepit and underfunded schools are in need of liberation. Black women raised in a culture that places a premium on Eurocentric beauty standards are in need of liberation. Even older Black men who constantly wear wind-suits with dress shoes and leather baseball hats are in need of liberation. And saying racism is a sin problem that we can solve by being kinder to each other serves the purposes of White supremacy because it does not force White folks to come to terms with the way they may contribute to institutional racism in the decisions they make at work and the way they vote at the polls. If you attend a Christian church that has little to say in support of the movement for Black lives, if your pastor has called for prayer in regard to unity in the wake of police shooting of unarmed black men, women and children but has not pushed the congregation to engage in social protests to address the systemic nature of racial injustice, then White supremacy, not Jesus, may be your god. If racism is, indeed, a sin problem and not a skin problem, then someone needs to repent. And by someone, I mean America. A version of this was published at Very Smart Brothas.